WIGGS stands for Wigglesworth International Genealogy Group Study. Family History investigations and a love of the Yorkshire Dales brought to light much connected with our family name and its history. Curiosity gathered together all sorts of things on the fringe such as from within "The Dalesman". 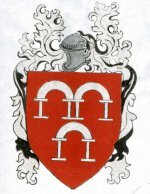 Where these might interest people with the name Wigglesworth they were made available to members of the WIGGS One Name Society and are reproduced here.